Welcome to our weekly college football picks page! This page was created for those of you who don't have time (or don't want to) read all of the game previews (located in the center of our main college football page) and that just bet our top plays. IMPORTANT: While we do game write-ups on many games each week, we do not bet every game. This page is reserved for our top picks. We also document our season record against the spread on this page. Bookmark this page and check back often as plays can be released at any given time up until kickoff. As a general rule of thumb, we don't release any predictions after the start of the first set of games on Saturday morning (12PM EST). Should we do so, we'd email it out to our readers. We highly recommend signing up for our free newsletter at the very top of this page. We promise not to spam you or share your information with anybody else. Note: This page may contain NCAA football picks that we've released in which we didn't produce a game preview/analysis for. Sometimes we get late breaking information and/or simply don't have time to produce a game writeup as we spend quite a bit of time handicapping all of the matchups on each week's card. Furthermore, the picks on this page may differ from those on the homepage/college football section as the picks on this page are made by Buzz and the homepage/college football section articles with picks are made by Lootmeister and contracted writers. STOP! BETTING ON GAMES AT -110 ODDS; START LAYING ONLY -105 AT THE WEBS BEST SPORTSBOOK: 5DIMES! Week 14: (12/1 through 12/2) Ga. Southern -2 (pending), South Ala./New Mex. St. UNDER 53.5 (pending), Troy/Ark. St. OVER 60 (pending), Mia/Clem UNDER 46 (pending), Ohio St./Wiscy UNDER 51 (pending), Texas Christian +7 (pending). Week 13: (11/21 through 11/25) Fresno State +7 (won 28-17). Week 12: Rutgers/Indiana UNDER 48 (won 0-41), Pitt/Va. Tech UNDER 49 (won 14-20). Week 11: (11/7 through 11/11) Nebraska Cornhuskers +2.5 (lost 21-54), Oklahoma St./Iowa St. UNDER 61 (lost 49-42). Week 10: (10/31 through 11/4) Passed. Week 9: (10/24 through 10/28) North Carolina State +7 (lost 14-35). Week 8: (10/18 through 10/21) Southern Miss +3 (won 34-27), Boise St. -14 (lost 24-14). Week 7: (10/11 through 10/14) Arizona +2.5 (won 47-30), Pitt +11 (lost 17-35), Kent St +9.5 (won 17-14), Charlotte +16.5 (lost 14-45), USC -13 (lost 28-27), Oregon St. +9 (won 33-36). Week 6: (10/5 through 10/7) SMU +7 (2.2 units to win 2 units)(lost 22-35). Week 5: (9/28 through 9/30) Passed. Week 4: (9/21 through 9/24) Vandy +19.5 (lost 0-59), Air Force +3 (lost 24-28). Week 3: (9/14 through 9/16) Pitt Panthers +13 (lost 21-59). Week 2: (9/7 through 9/9) Middle Tennessee State Blue Raiders +10.5 (won 30-23) and North Carolina State Wolf Pack -23 (lost 37-20), Northwestern Wildcats -2 (lost 17-41). Week 1: (8/26 through 9/4) UMass -2.5 (lost 35-38), Florida +5 (lost 17-33), Va. Tech -4 (won 31-24). 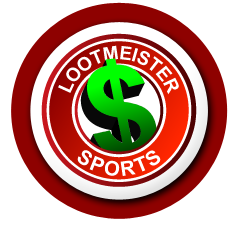 Our Committment to You: We appreciate that you've chosen Lootmeister.com as one of your sources for college football betting information. Fellas, there are lots of handicapping sites out there. Many of these sites boast high winning percentages that are simply unattainable. These "handicappers" give our industry a bad name and more importantly, they cost you money. When you factor in the cost for their picks and the vigorish you pay on your bets, you need to win around 55% to break even. It's been said that the best handicappers in the world only hit 57%. The truth is that there are very few in that crowd and generally speaking, you won't see these guys on the web selling picks because they're too busy handicapping 18 hours a day, shopping for the best lines, watching line services for line movement and betting their own plays. Please be careful when considering purchasing picks from these services. With all of that being said, our picks are FREE. No strings attached. We make our money from advertising. Our Goal: Our goal is simple. To beat the point spread and provide a profit for our readers by season's end. 97% of all sports bettors lose long term. Many are OK with this as betting on games provides a form of entertainment. We're not ok with this and pride ourselves on picking winners for our loyal readers. You won't find any claims of "locks" or guaranteed winners here because they don't exist. What you will find here are solid picks and predictions each week that will increase your odds of covering the spread and beating your bookie. We highly recommend that you bet ALL of our plays. Even the ugly teams. These situations are where the best value is found. While not always the case, it could be said that "good teams win and bad teams cover." Point spreads are built on public perception. We heavily factor that variable into our handicapping along with many other factors which usually results in us beating the house over the long term. Please keep in mind that we're going to have winning and losing weeks! Sports betting is a grind! Think of this venture as a marathon, not a sprint. As noted above, all of our picks are FREE. If we've made you some loot and you'd like to show your appreciation to us, the best thing you could do for us is sign up and play at one of our sportsbook sponsors (big green image at top of page), as that is what ultimately keeps us in business. Thank you for reading Lootmeister.com and we look forward to serving you for many years! Got comments or feedback? Drop us a line! admin@lootmeister.com.